Premium Plates employs other companies to perform tasks on our behalf and may need to share your information with them to provide products and services to you. Premium Plates may also share your information to provide products or services you’ve requested or when we have your permission. 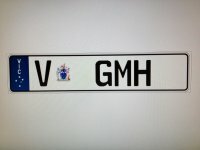 When you register for Premium Plates we ask for your name, company name, email address, billing address. Premium Plates uses the information we collect for the following general purposes: products and services provision, billing, identification and authentication, services improvement, contact, and research. As part of the buying and selling process on Premium Plates, you will obtain the email address and/or shipping address of your customers. By entering into our User Agreement, you agree that, with respect to other users’ Personal Information that you obtain through Premium Plates or through a Premium Plates-related communication or Premium Plates-facilitated transaction, Premium Plates hereby grants to you a license to use such information only for Premium Plates-related communications that are not unsolicited commercial messages. Premium Plates does not tolerate spam. Therefore, without limiting the foregoing, you are not licensed to add the name of someone who has purchased an item from you, to your mail list (email or physical mail) without their express consent. Only use your Premium Plates customers’ information for Premium Plates-related communications, unless they give you permission otherwise. Don’t spam anyone! Premium Plates may use third party service providers to provide certain services to you and we may share Personal Information with such service providers. We require any company with which we may share Personal Information to protect that data in a manner consistent with this policy and to limit the use of such Personal Information to the performance of services for Premium Plates. Premium Plates may disclose Personal Information under special circumstances, such as to comply with court orders requiring us to do so or when your actions violate the Terms of Service. Premium Plates owns the data storage, databases and all rights to the Premium Plates application however we make no claim to the rights of your data. You retain all rights to your data and we will never contact your clients directly, or use your data for our own business advantage or to compete with you or market to your clients.